Daughter of Wenzel Michalesi, a bass player at the opera, and his wife Josephine, a singer. Her parents left the opera in Prague and ended up at the Stadttheater in Mainz in 1829. There her father died in 1836. She was educated as a singer by her mother and accompanied her to London in 1840. She also worked in Brünn with her mother. After her mother's dead she worked for the stadttheater in Hamburg. 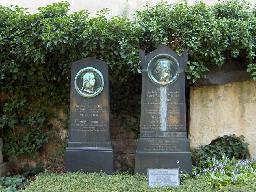 After a recommendation by Giacomo Meyerbeer she was engaged at the Hoftheater in Dresden. Her first part there was Fides in Meyerbeer's "Der Prophet" in 1850. In 1850 she married the composer Karl August Krebs who had also come from Hamburg. In 1851 their daughter Marie was born. In 1870 she left the opera and after that she only sang in churches and worked as a singing teacher. She died four years after her daughter in 1904.